Welcome back to You Should Be Watching, where I recommend movies and TV shows that deserve more attention than they’ve gotten. In keeping with the Halloween theme I’ve adopted for the season, this week we’ll be communing with ghosts in the town of Blithe Hollow with Laika’s Paranorman. 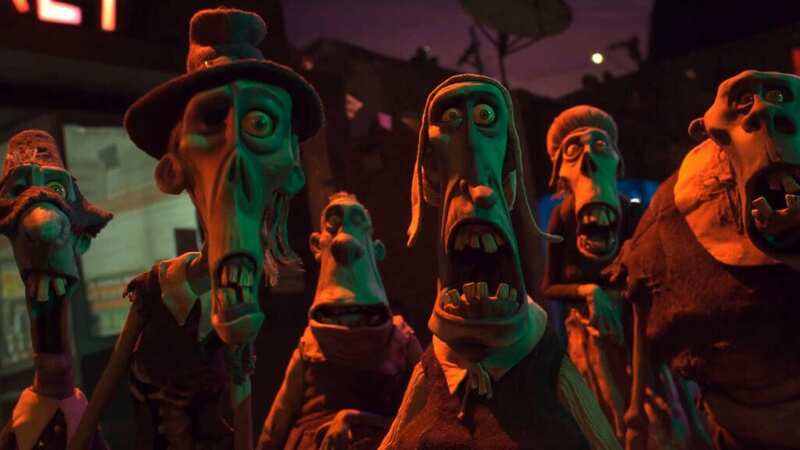 Released in 2012, Paranorman was the second of the studio’s stop-motion animated features, and, similarly to Coraline, it features unique visuals, a creepy tone, and an emotionally engrossing storyline. Unlike Coraline, Paranorman derives inspiration from America’s history of witch trials, old scary movies, and other sources, but its plot in itself is original. Paranorman takes place in modern times in the fictional town of Blithe Hollow. A young boy named Norman Babcock has the ability to see and talk to the ghosts of the town’s deceased denizens. However, speaking to his dead grandmother creates tension between himself and his family, and greeting the ghosts on the street makes Norman an outcast among his neighbors and schoolmates. Norman is instructed not to talk to or see his uncle Prenderghast; his whole family rejects him because he too can see and talk to the dead. Nonetheless, Prenderghast finds Norman and entrusts him with the duty of abating the course of a witch who was executed in the town hundreds of years earlier. However, in his attempt to bring peace to the living and the dead, Norman discovers that all is not what it seems. Kodi Smit-McPhee (The Road, X-Men: Apocalypse, Slow West) stars as Norman and brings a believable sympathy to the strange boy. Leslie Mann and Jeff Garlin voice his parents, and they’re flawed but understandable. Anna Kendrick plays his annoyed but loving sister Courtney, Casey Affleck plays her crush Mitch, and Christopher Mintz-Plasse voices school bully Alvin. John Goodman provides the voice of Norman’s uncle Prenderghast. Everyone’s great here, making their characters believably flawed but still likable. The animation in Paranorman is also amazing, and they get really inventive with the effects. Stop-motion animation is an underrated art form, so I’ve appreciated Laika’s use of it in their films. The characters look wonderful and have a wide range of expressions and gestures; the film’s supernatural elements look amazing too. This film isn’t quite as colorful as predecessor Coraline, but the greens and yellows look spooky, and everything is vibrant. The musical score is beautiful and accentuates the film’s tone; the way the music swells during emotional moments is particularly effective. The idea of a story about a boy who has a special ability and feels like an outcast is hardly a new one, but Paranorman presents its characters and story in a way that feels fresh and unique. It serves as something of a deconstruction of horror and creature feature tropes, resolving the main conflict with empathy rather than bloodshed. Norman is able to defuse a difficult situation not because he’s different than the witch, but because he has some understanding of what she’s been through. His classmates, neighbors, and even his own father treat him like a dangerous freak because they don’t understand or believe in his ability. While it’s not exactly equivalent to being deemed a witch and executed, it’s a good way to show that Norman can relate to the way she feels. On that note, Paranorman does a great job showing fear and the mob mentality. It’s only rated PG, but at times serves as an interesting exploration of human nature, aggression, and the various ways we treat people we see as the “other.” Several people I’ve watched Paranorman with have cried near the end, and I think that’s a testament to how effective it is. It’s also perfect for the Halloween season given its content, setting, and spooky aesthetics. 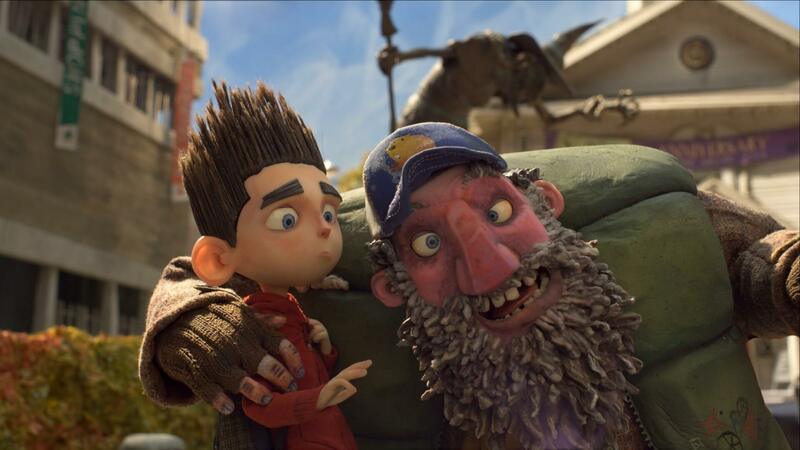 If you like The Nightmare Before Christmas and Coraline, Paranorman is right up your alley. I actually like all of Laika’s features so far, and they usually involve themes of the supernatural and complex characters, but I chose to feature Paranorman because it’s not as fondly remembered as Coraline, possibly due to being overshadowed by it. My favorite is Kubo and the Two Strings, but while it is scary at times, it doesn’t really scream “Halloween,” and The Boxtrolls is just OK, though I’d recommend it for Ben Kingsley’s performance and the sheer bizarre nature of the premise. While Paranorman is this week’s recommendation, I think all of their films deserve to be checked out and wonder why they get less love than, say, DreamWorks or Disney. Although it’s about zombies, witches and curses, Paranorman’s greatest strengths lie in its characters and their relationships. Norman’s father, in particular, treats him like a rebel and a bad kid just because he continues to talk and have a relationship with his dead grandmother. His mother is a little more understanding, saying it’s part of the grieving process and that Norman will outgrow it; she’s wrong too, but at least she tries to be a loving and supportive parent. She even contextualizes her husband’s behavior as being the result of fear, while he himself can’t come around and admit fault until later in the film. I absolutely love a scene near the end when Norman’s family, including his normally aloof sister, come together and support him when the rest of the town wants to literally form a mob. I also like the way they show Alvin as the bully, and particularly that he’s actually mean, not the fake mean fun-poking they usually give bullies in kids’ and family movies these days. It’s uncomfortable to watch, but that’s how it should be; you need to drive the point home that Norman really faces danger and rejection as a result of his ability and personality. However, Paranorman is lots of fun too. Aside from the lush animation and complex characters, there are plenty of humorous scenes, as well as lots of scary moments with the witch, the zombies, and even Prenderghast. The flashbacks to the witch’s trial are horrifying, and not in the traditional sense; it’s terrifying what her own people were willing to do to her out of fear of the unknown. Overall, Paranorman is an amazing movie. It’s only 93 minutes long, but it manages to examine horror/monster movie tropes, explore human nature and why we are the way that we are, and introduce a cast of flawed but lovable characters. And this is in a movie that the whole family can watch together! While Paranorman isn’t one of my very favorite movies, it is one that I have no major issues with and consider essential October viewing. A great cast, gorgeous and inventive animation, spooky ambiance and compelling characters are why you should be watching Laika’s Paranorman.